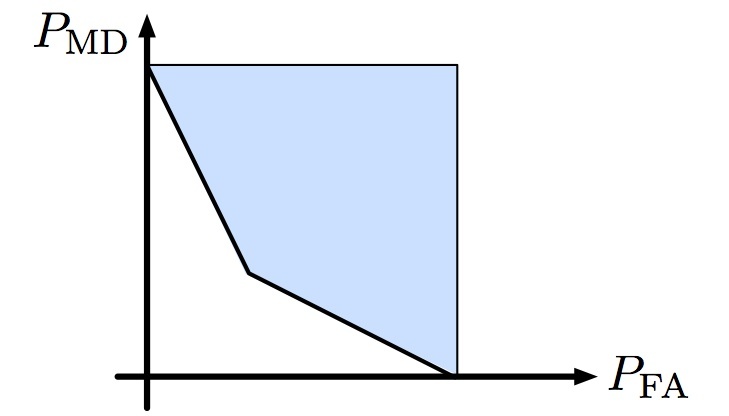 One of the things I’m always asked when giving a talk on differential privacy is “how should we interpret ?” There a lot of ways of answering this but one way that seems to make more sense to people who actually think about risk, hypothesis testing, and prediction error is through the “area under the curve” metric, or AUC. This post came out of a discussion from a talk I gave recently at Boston University, and I’d like to thank Clem Karl for the more detailed questioning. for all pairs of data sets and containing individuals and differing in a single individual, and all measurable sets . For those familiar with hypothesis testing, this guarantee is saying something about the hypothesis test between and being “hard.” One interpretation of differential privacy is that an adversary observing the output of the algorithm will have a difficult time inferring if the data of individual is or , even if they know all other data points. 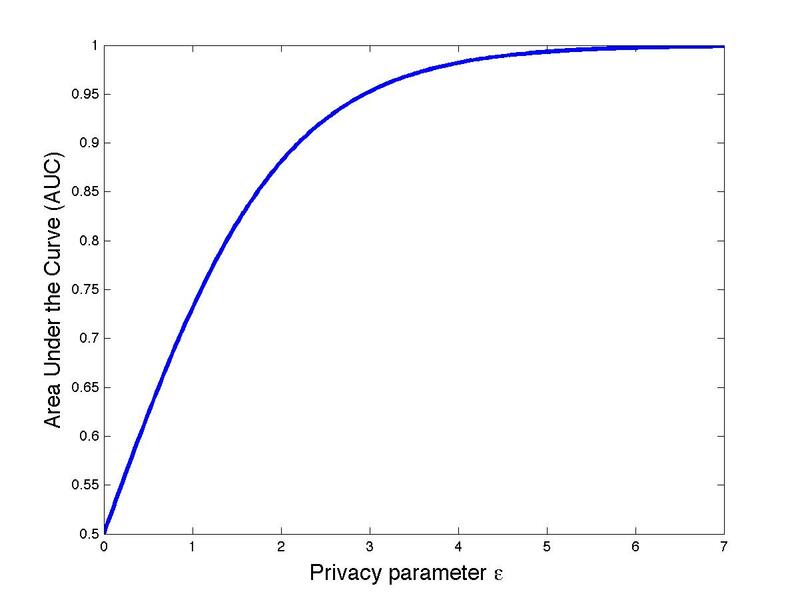 So we can now see how the privacy parameter affects the AUC for this hypothesis test. Depending on how comfortable you are with the risk (and also the threat model), you can assess for yourself what kind of you would prefer. Oh and Viswanath also calculate the tradeoff for -differential privacy, but maybe I’ll leave that for another post. In the end, I don’t find this AUC plot so illuminating, but then again, I don’t have a visceral “feel” for how the AUC corresponds to the quality of the prediction. This entry was tagged differential privacy, statistics. Bookmark the permalink.